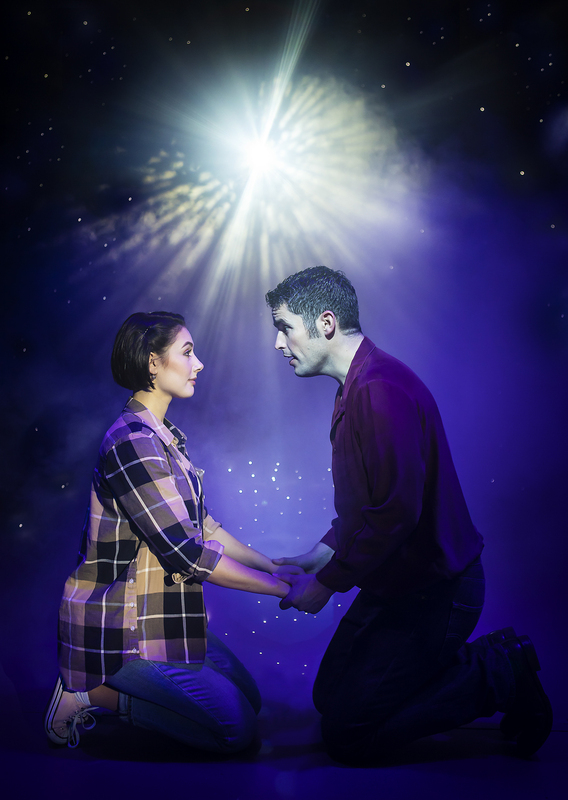 Review: Ghost the Musical. Curve Theatre Leicester (touring) 29th January – 2nd February 2019 – East Midlands Theatre. There are few scenes as iconic in the world of popular film as the potter’s wheel scene with Molly and Sam in Ghost. The electric chemistry between Patrick Swayze and Demi Moore, combined with the swelling sound of the popular ‘Unchained Melody’, created a perfect moment, and helped make it the highest grossing film of 1990. The capacity audience last night at the Curve Theatre, Leicester, for the musical stage version of Ghost, were definitely from the era of the film and looking for that moment to be honoured and revered. Rebekah Lowings looks uncannily like Molly from the film, with her short dark hair and ‘girl next door’ dungarees, but her voice is anything but average. With great clarity and diction, a huge range, and sounding as smooth as a satin ribbon, she knocks the songs out of the park with apparent ease. ‘With You’ is just stunning. Playing Sam opposite her is Niall Sheehy, another performer with a big voice, who also deals with a wide variety of song styles with aplomb. 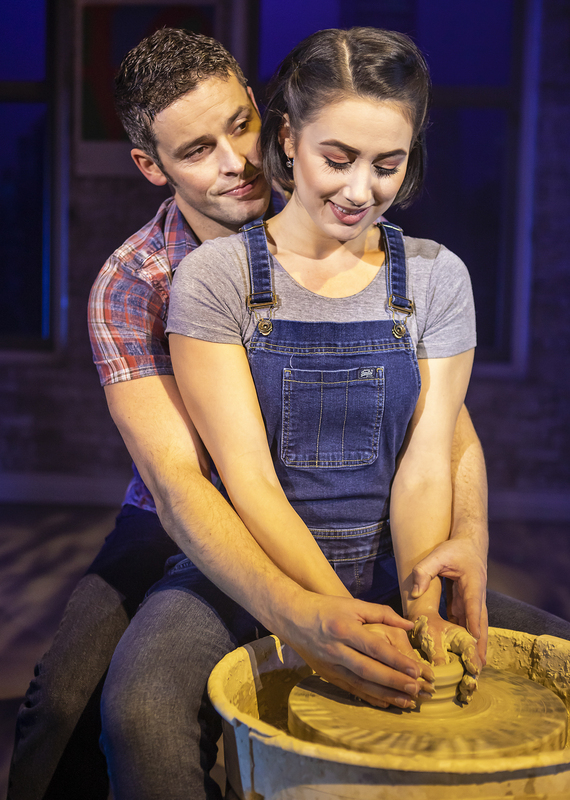 Other than the enduring Righteous Brothers’ Unchained Melody’ which accompanies the pottery throwing scene, the music for the show is new and written by Dave Stewart and Glen Ballard. The ballads are the most effective, where the qualities of the voices shine and the sentiments match the storyline. 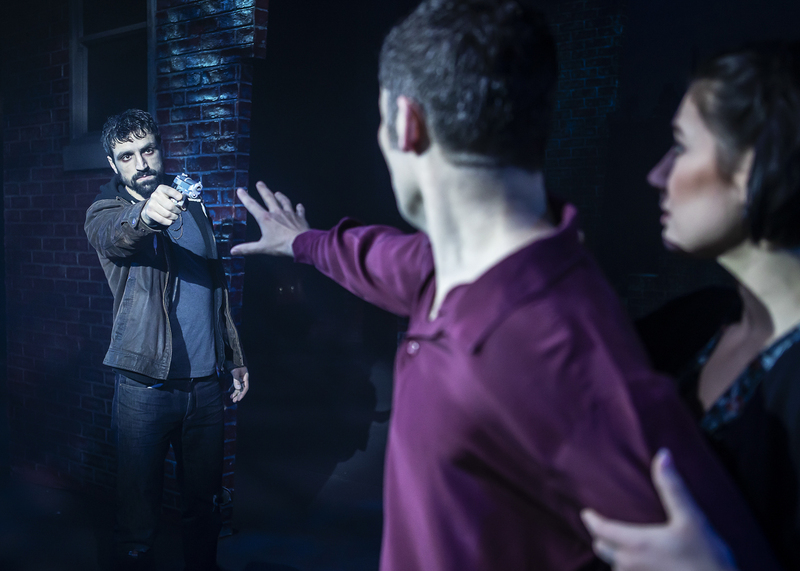 The larger numbers with the majority of the company, feel a little shoe-horned into what is otherwise a quite ‘intimate’ story, both physically and musically. The storyline is actually quite complicated for a musical, and it’s refreshing to have so much plot to follow. Late one night, Sam is murdered in an apparently random attack, but his spirit is unable to move on. Molly is left grieving. But Sam discovers he was murdered and enlists the help of phoney psychic reader Oda Mae Brown to help him communicate with Molly and save her. There’s a baddie, Carl, and lots of dead spirits, but the storyline addresses the sensitive subject of grieving with compassion and some humour. 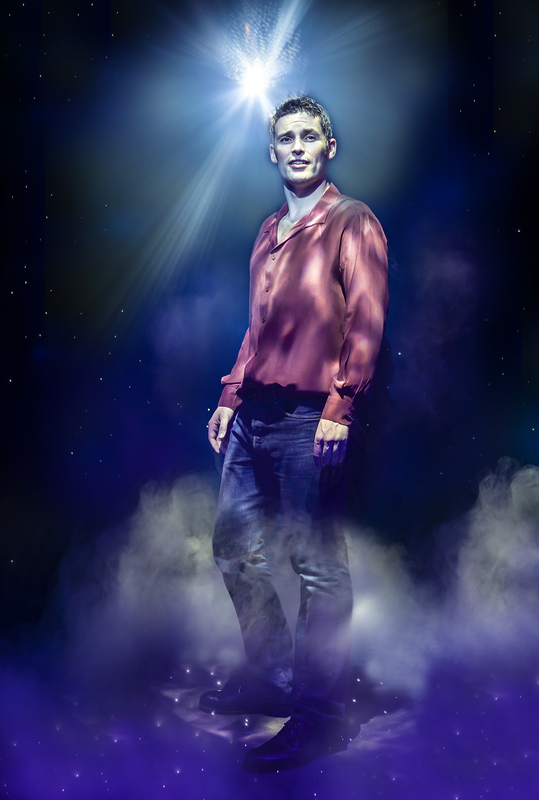 Dealing with the physicality of Sam being a ghost is clearly much more difficult on stage than in film, where post production special effects can be employed. But with the use of sound effects, some illusions, and nifty moving by the actors, this works well and avoids any clunkiness. The scene on the subway train, where Lovonne Richards plays a ghost who ‘owns’ the train, is particularly clever in it’s choreography and creating the impression of time being slowed down. Richards’ rap song ‘Focus’ fits well, though is slightly lost in a barrage of accompanying sound effects. Sergio Pasquariello is Carl, the best-friend-turned-murderer, and he creates a detailed character with depth which is very convincing. He too has a beautiful singing voice and the trio ‘Life Turns on a Dime’ in which he features is particularly enchanting. The role of Oda Mae Brown, played so memorably by Whoopi Goldberg in the film, is taken on by Jacqui Dubois. She really comes into her own in the bank scene, where her comedy timing and expression are spot on and the number ‘I’m Outta Here’ is a perfect fit. The final scene, where Oda Mae allows Sam to inhabit her body to be able to hold Molly, is deftly handled and in this quiet scene, the emotion of the story comes through. Sam is finally released and able to move on to whatever ‘afterlife’ is waiting, and with a swirl of smoke and some dazzling lights, this is also underplayed to strong effect. 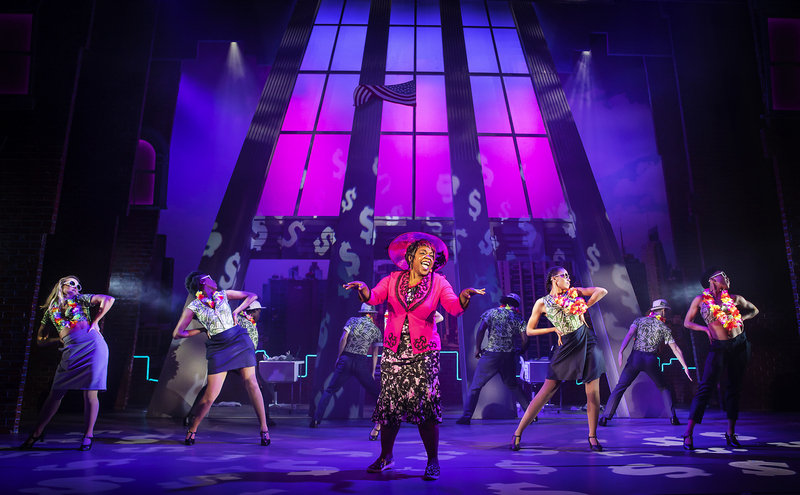 The appreciative audience enjoys revisiting their favourite characters and, whilst it may be missing a little of the ‘sizzle’ of the original film, it’s a warm, feel good musical with plenty of expressive songs and strong voices. It will surely continue to captivate hearts and minds on its journey onwards. Exclusive interview with West End Company star Rosalie Craig.